Abstract: In an encyclical released in June of 2015, Pope Francis cast the need to address climate change as a moral imperative. 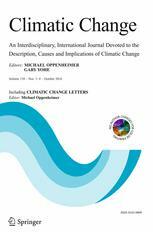 Using nationally-representative surveys with supplemental samples of Catholics, we investigate changes in the U.S. public’s post-encyclical attitudes about climate change and the Catholic pontiff. People who were aware of the encyclical held more polarized attitudes toward climate change than those who were unaware of it. Whereas encyclical-aware liberals expressed heightened concerns about climate change, encyclical-aware conservatives expressed lower levels. Cross-pressured by the inconsistency between the pontiff’s views and those of their political allies, conservative Catholics devalued the Pope’s credibility on climate change. These findings have important implications for communication about climate change in polarized opinion environments. Click here to obtain the article from Springer.